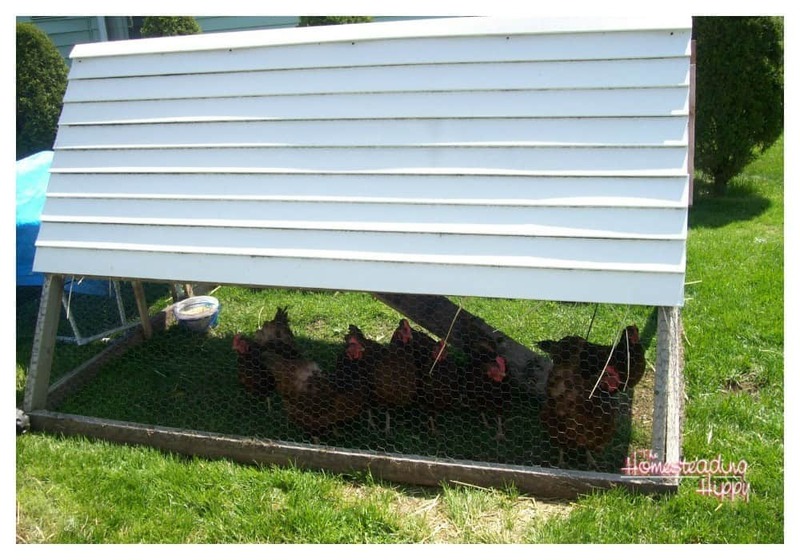 Building Your Chicken Coop Plan-What Kind Of Coop Do You Need? When getting started with a backyard flock, you have some decisions to make. 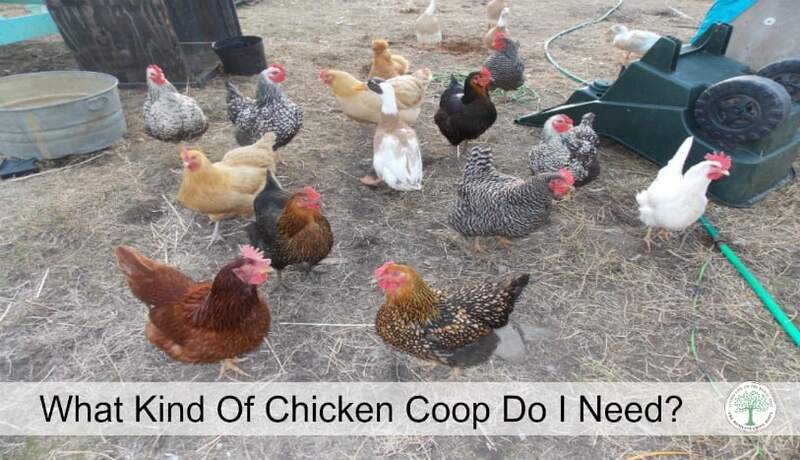 You’ll need to decide what breed(s) to keep, what equipment is needed, and what coop plan to go with. You may be wondering “What kind of chicken coop do I need?” This is an important question to ask when starting your backyard flock. Building a coop is one of the most important factors for your flock, as this is where they will be spending their time. Chickens will need about 1 foot of space between them and the next chicken for roosting. They also need a place to roost and nesting boxes. The coop needs to keep them safe from predators. How do you know what you need for your chickens? There is much to consider. The main types of coops can be broken into 2 categories: portable and stationary. The portable coops are often called “tractors” and as the name states, can be moved from place to place in your backyard. These are usually on wheels with large handles on them, making them easy to move from place to place. Tractors are great for small flocks in your backyard. The benefits of having a tractor in your yard is that the chickens will always get fresh grass and bugs will be more available for foraging. Your yard will be “areated” as the chickens scratch around. There will also be lots of fresh manure “applied” directly on your grass to help it grow. The drawbacks to a chicken tractor is that you will have to move it often to keep the grass from dying out. There is also the fact that chickens will take a dust bath anywhere they can, and with a tractor being moved about, patches of dust will be left behind all over your yard. You can often wind up with holes that will need to be filled in. During the winter, heavy snow can make moving the tractor a real pain or even impossible. If you have more than 4-6 birds, a portable tractor may not be large enough to provide enough room for all your chickens. As a result they can start pecking at each other. The other type of chicken coop is a stationary one. This basically means that the coop stays in one spot, and the chickens have a more permanent home. You can either allow your flock to free range in your backyard or fence in a “run” for them to roam around in. A benefit of having a stationary coop is that you don’t have to worry about moving it around your yard. Another benefit is that the chickens will likely choose one place to take their dust baths instead of leaving dust patches all over. You also don’t have to worry about moving it in inclement weather. The main drawback with a stationary coop is that the grass where the chickens are penned up will be gone in a matter of days, leaving bare dirt. You will also have to clean the coop out on a regular basis to keep the smell, flies, and manure at a manageable level. Once you decide whether you want a stationary or portable chicken coop, you’ll have to plan it out. Finding chicken coop plans on the internet can be confusing, and even overwhelming. What if you don’t know where to start with making your own chicken coop? Where do you start with building one? Over at Chicken Coop Guides, they have lots of plans for you to build your own coop! From tractors for small flocks, to huge coops for larger flocks, they have it all. The selection is great, and the price is very affordable! If you need help choosing a chicken coop to build, may I suggest you check them out? You’ll get the best chicken coop plans from Chicken Coop Guides! I love the homesteading life, my family and I have stepped up with growing some of our own food, raising rabbits, chickens and want to learn more.